Dr. Morten Christiansen, a professor of psychology at Cornell University, will present a lecture on the evolution of language Feb. 16 at 7:30 p.m. in the Ferguson Center Ballroom on The University of Alabama campus. The lecture is part of the Alabama Lectures on Life’s Evolution, or ALLELE, series at UA. The lecture, “Darwin’s Insight: The Cultural Evolution of Language,” is free and open to the public. After explaining Darwin’s original theory of the origin of languages, Christiansen will discuss his own research, showing that the evolution of language involves biological and cultural constraints. While some researchers believe that biological factors play a larger role in language development, Christiansen has found that culture is the predominant reason for similarities in languages today. Christiansen is the co-director of the cognitive science program at Cornell University. He also teaches language and communication at the University of Southern Denmark. Christiansen has edited four books and written more than 170 papers on language and psychology. The ALLELE series brings speakers to the UA campus to discuss aspects of evolution. The 2015-2016 ALLELE series is supported by UA’s College of Arts and Sciences, the Alabama Museum of Natural History, the Office of Academic Affairs, Honors College, the Blount Undergraduate Initiative, the Summersell Center for the Study of the South and UA’s departments of anthropology, biological sciences, chemistry, communicative disorders, education studies in psychology, research methodology and counseling, English, geological sciences, history, New College, philosophy, physics and astronomy, psychology, religious studies and telecommunication and film. Learn more about the series at evolution.as.ua.edu.  The ALLELE lecture series is part of UA’s College of Arts and Sciences, the University’s largest division and the largest liberal arts college in the state. Students from the College have won numerous national awards including Rhodes Scholarships and Goldwater Scholarships.